Get your dog feeling Irie with one of these stylish Rasta peace sign dog hoodies. These Rasta dog hoodies are made with high quality poly/cotton material and double stitched for added durability. If you are looking for Rasta dog accessories then you need to have one of these Rasta dog hoodies. Available in 6 colors and 7 sizes. 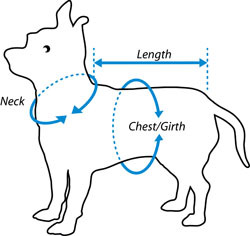 Sizing is based off of the length of the dog hoodie. 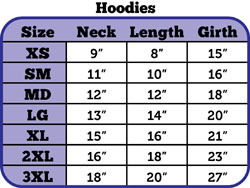 See the sizing chart below. Get a Rasta Peace Sign hoodie for your dog today! Peace, Love & Rasta!